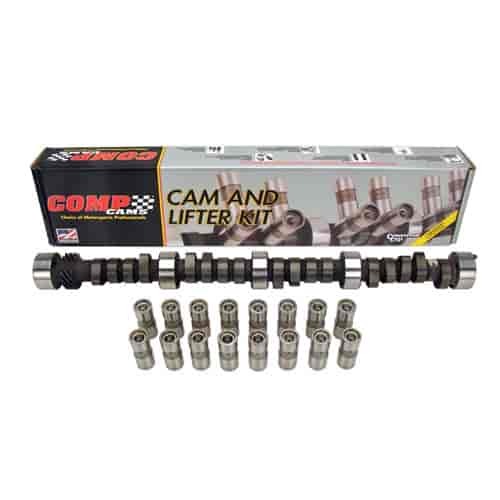 Does COMP Cams CL12-238-2 fit your vehicle? CL12-238-2 - Comp Cams 'Xtreme Energy' Hydraulic Flat Tappet Camshafts is rated 3.0 out of 5 by 1. Rated 3 out of 5 by irish joe from what?????? Sounds great in my '72 Ventura II. Waiting for arm rest pads and a return label for the intake manifold gasket that was the WRONG size. This should work with your factory retainers, this would take the https://www.jegs.com/i/COMP-Cams/249/981-16/10002/-1 single valve springs. This is a good torque camshaft choice. Yes, as long as your engine has flat tappet hydraulic lifters.